Man of the Hour: The Michael Hainey Interview | A Continuous Lean. 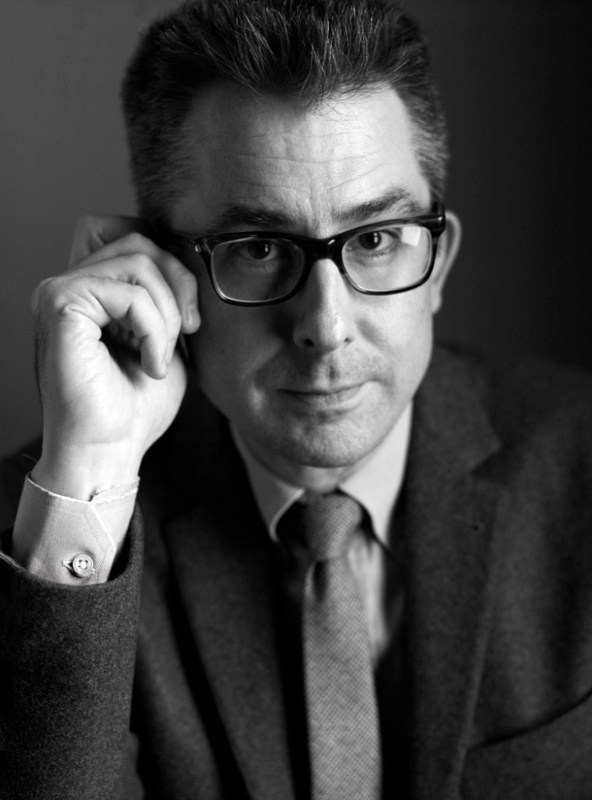 You may know Michael Hainey from GQ, where he’s the deputy editor, a writer and resident wise man. He’s an elegant and reassuring presence in a menswear world that can breed exhaustion. You may also see Mr. Hainey on television, walking in the West Village or on your favorite street style site. He carries himself with a sense of courtliness that makes him seem approachable, which is very much the case. 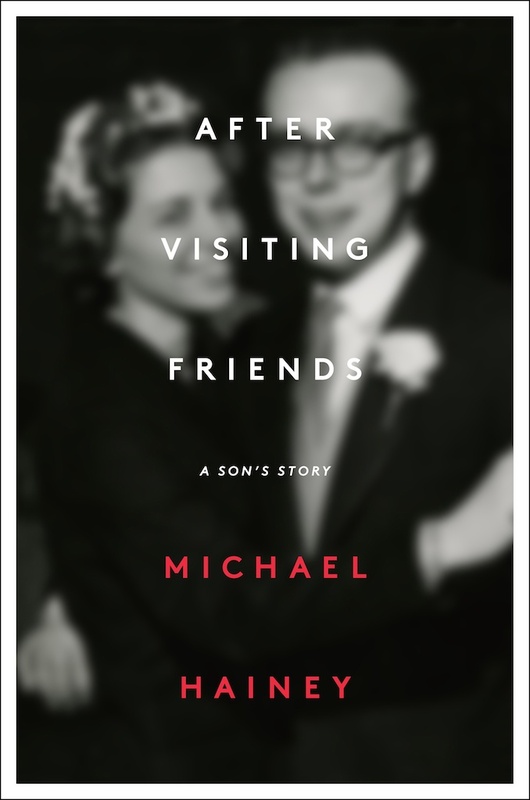 Prepare to get to know him much better–his new book, the memoir â€œAfter Visiting Friendsâ€– is deeply personal and incredibly moving. It’s also a brilliantly reported, completely absorbing mystery about the death of his father, which happened when Michael was a boy. It’s a genuine accomplishment by one of New York’s dapper men of letters. We spoke recently at the Spotted Pig. David Coggins: The title of your book is â€œAfter Visiting Friends.â€ Can you explain what it means? It’s a good introduction to what the book’s about. Michael Hainey: It’s the reason the mystery begins. You could say it’s a euphemism, but really it’s a line inside of a couple of the obituaries that ran after my father died. One said he died after visiting a â€œfriendâ€ and the other said â€œfriends.â€ It gave an address in Chicago, so as a young guy I said â€œwho are these friends?â€ So it’s the engine of the mystery. 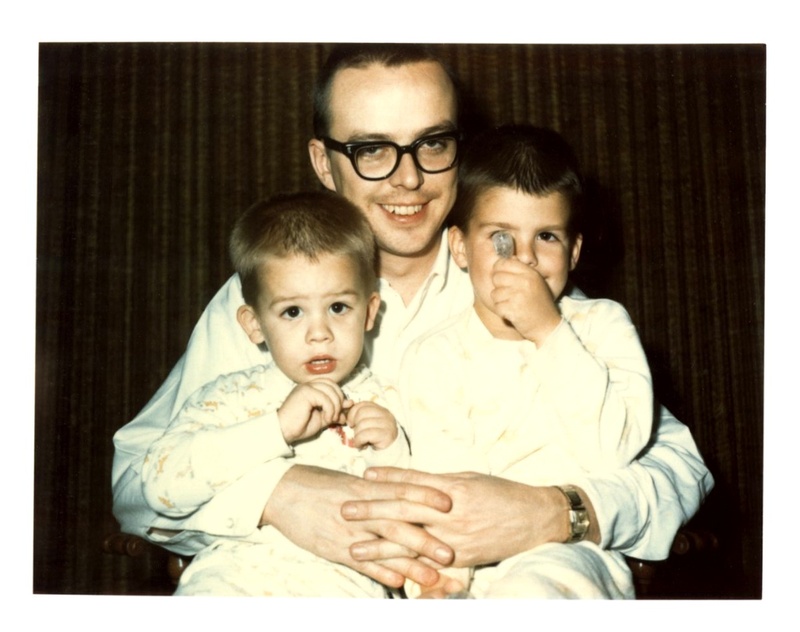 Michael with his father, Bob, and brother, Christopher. 1968. DC: Is this a book that you knew you were going to write for a long time? MH: I always wanted to write poetry. I spent years writing poetry–and I still do. A lot of it centered around my father and absence. It wasn’t until around 10 or 12 years ago that a friend of mine who also had lost his father–who knew the mystery–got on me and said you should write a book. I said no, I don’t think so. Then I thought about it and I thought maybe I could inspire people. It took me ten years to write. DC: Ten years? So does that mean you started it when you were the about the age he was when he died? In the book you say that was a big year–reaching that age. MH: Yes, it was just after I crossed that age, 35. I thought for much of my life that I was not going to outlive him. When I got to that age I thought I can’t believe I’m here. And it was a bit of a breakdown. DC: He’s a newspaperman. It’s a word that’s used very often in the book. Not journalist, not writer. There was an entire culture of the newspaperman, the bars they went to, what they perceived as their ethic. Can you talk about that? MH: You’re smart to clue in on that word. He started working at papers in 1957 when he was 23 years old. I don’t think these guys saw themselves as journalists I think they saw themselves as newspapermen. That was a badge of honor. That was all they ever wanted to be. Papers were the lifeblood of America back then. They still are in some ways but we’ve lost that tactile sense of it. For them it was an ambition to write and there was nothing more noble for them than that. DC: Right. And they started young. It was like working on a ship–you started when you were fifteen and worked your way up. MH: Well, my father starts delivering newspapers out in Nebraska when he’s eleven or twelve years old and then he works on the high school paper. From the time he was a little boy he wanted to do that. And he met my mother at the newspaper–she was a gal Friday at the Chicago Tribune–and she started there when she was sixteen. You apprenticed, it was a trade, it was a craft. A newspaperman is a word like tailor or butcher or surgeon. DC: And then of course you went into that trade as well. Did that feel like a choice or was it just something you knew would happen? MH: I think it was a choice. From the time I was a little kid, from third or fourth grade, I loved writing. I had teachers in grammar school–I would write stories and vignettes and poems–and the encouragement I got from them was like magic. I learned the magic of words. By that I mean why use â€œnewspapermanâ€ versus â€œjournalistâ€? You’re wearing a houndstooth jacket. Houndstooth tells you more than just sport coat. The right word is so powerful. In high school and college, writing was a joy to me. After college, I thought I would study journalism. By then I was very conscious of the echo. I though maybe I could fulfill his legacy. DC: Did you see the Joseph Mitchell piece last week in the New Yorker? DC: Last week they had a panel with David Remnick talking to Ian Frazier and Mark Singer and Mitchell’s biographer, who’s quite interesting. And they talked about Mitchell as a writer who’s on the street, who’s connected to the city, who understands the details of the people who live in the city. He would go to the Fulton Fish Market and walk up to the Bronx. The idea of a reporter was about going into the world and observing. It feels like such a different generation. There are a lot of those qualities in your book. MH: Yes, it’s about reporting. I say this to the young generation at GQ. I learned this from one of my mentors, an editor in Chicago, and he said you’re never going to be a writer if you can’t be a reporter. I worked at this small magazine in Chicago right after college. It had a staff of four. I did everything: I answered phones, I fact-checked, I wrote captions. One day I was sitting there and he walked in and said, â€œWhat are you doing here? For the next four weeks I want you out there. I don’t care if you go to the zoo or ride a bus or sit in a diner but I want you to come back at 3 o’clock and I want you to write 800 words about what you did that day. What you saw.â€ I had from three to four to write it. We were still writing on typewriters and he would edit it for me. It was fantastic training. It’s so true what you say about Mitchell, you have young people at the office. I ask them about a detail and they â€œWell, I Googled it.â€ And I say â€œDid you at least call and ask David Coggins if it has two G’s?â€ I think my book is vibrant in many places because I went out and reported it. I went to McCook, Nebraska and went to a small town in Kentucky to meet Natty Bumppo. DC: Chicago is a huge part of the book. At that time–the 1950s–there are a lot of newspapers, a lot of immigrants, a lot of industry. It’s a good place to examine that era of America. MH: I’m a big believer that place is character. Chicago from the mid-fifties to the mid-sixties. I had to capture that period–even though I wasn’t alive then–it came from interviewing my mother and interviewing my father’s friends, to tell me about those bars, and what the newsroom looked like and what it was like when you walked down the street. That’s what makes it three-dimensional–Chicago is a character in the book. DC: Your book deals so much in newspapers–at the time you’re writing about Chicago had, I think, five dailies. So many markets have been consolidated. In a sense, outside of New York it’s almost like you have to go to London to really get a vibrant newspaper culture. That must be something you’re wistful about. MH: I love newspapers. On a page you see a collision of stories that you wouldn’t have thought of. I love the new technology and the new media, we all have to be evolving. But now matter how you set your newsfeed on Twitter there’s something about opening up a newspaper and seeing â€œoh, what is that story? I never would have come across what happened in Mongolia.â€ No algorithm is going to pick that up for me other than an editor placing in on page A24 and giving it four inches. Editors at the best papers were really editing with a point of view and they said here’s something that you don’t even know that you want to know about but we think you should know about it. DC: –-ha, right. The goddamn kids going to your site regularly. MH: What I do is try to remember what that mission of editing â€œWhat’s a GQ story?â€ Often I say â€œthink about what it’s like growing up at sixteen in Minneapolisâ€ if you didn’t have access to a body of knowledge. It’s our job to open a world up to the reader and see a world of wider possibilities. It comes out of the newspaper ethos. DC: It’s interesting that you talk about access to a body of knowledge because in the book you deal with the absence of your father and missing lessons that he could have taught you. And now you’re imparting those lessons at GQ. MH: Yes, that’s true. I remember reading GQ as a boy back when I grew up in Chicago, it was pre-internet. If you want to know where to find a good blazer it wasn’t like Googling â€œSuit Supplyâ€ now or seeing someone on a street style site. Then it was like talking to Mr. Coggins down the street who was saying â€œYou know son, you need to go to Brooks Brothers.â€ I still take the mission of GQ very seriously. It’s an honor for me to work there. I think of myself at sixteen and maybe there’s someone who I can help. DC: It’s funny you say that. Because I always ask my friends who have very specific taste if they’re glad they grew up before the internet. Because now it’s so easy to find some rare B-side online and groups of likeminded people. But back then you really had to seek it out and find the record store or the secondhand bookstore. That makes a reporter out of you, if you’re trying to track down a B-side by the Smiths or a Penguin edition of Anthony Powell. MH: You’re right. We had to go and search and ask. I remember I couldn’t even drive and planning on going to a record store on a Saturday in Chicago because one person told me they they’ve got Elvis Costello records from Japan. DC: Of course, it was harder to find an image of a naked woman. Now these kids can get whatever they want on demand. MH: Right. Back then you just went along with whatever Hugh Hefner was into. If he liked knee socks then that’s great. DC: You just survived another Fashion Week. Is that something you enjoy going to season after season?â€¨â€¨MH: I think it’s great. I think you and I are similar, we’re guys who have hungry eyes. For me, it’s like seeing an art show. What’s Thom Browne going to do? Or what’s Michael Bastian going to do? Or what’s Miuccia Prada going to do? You’re seeing a point of view from a creative mind. That’s always exciting. I think sometimes Fashion Week has a world swirling around it and that what’s at the core of it gets lost–which is that people are doing creative work. DC: You have a recognizable uniform, houndstooth coats, dark tie, certain glasses. Can you talk about uniforms in general and how you arrived at yours, in particular? MH: Growing up without a lot of men in my life, my role models were men in popular culture. Dark suits, white shirts. I love Jimmy Stewart from the Hitchcock period, I love Robert Lowell and Philip Larkin–poets who liked tweedy houndstooth coats, the East Coast preppy thing. Back before it was Take Ivy, it was just college professors who shopped at J Press because J Press was good and affordable. I did nothing but read books and watch old movies as a kid–I was an old fogey in some ways. DC: There is something very liberating about identifying what you like. It feels like so many clothes these days are too referenced, it’s all too self-aware. Does that come from street style sites? I liked them to see what old Italian men wear. But they’re getting very mannered. MH: It’s so self-aware. Are you dressing for yourself? You have to find out who you are and wear something that makes you comfortable versus â€œI’m going to play dress up.â€ Do you really keep your gloves in that pocket all the time or is it only during Fashion Week? Related: Michael Hainey talking about After Visiting Friends on Morning Joe. I’m looking forward to reading his book soon. Great in depth interview with him. I love his work with GQ. Do you really keep your gloves in that pocket all the time or is it only during Fashion Week? This was an excellent interview and a delightful read. Thank you. This book looks like a great one. I just read an article with Michael Hainey in Entertainment Weekly and this interview really helped flesh Michael out as a person. Thank you.